According to the diagnostics, people don’t read blogs on Saturday. So, if you are reading this, you are one of the 10% of the usual crew and I thank you for it. And since you’re here, I won’t bore you with notes on diagnostics or SEO (search engine optimization). But I would like to make a point about vintage charts, arbitrary wine market fluctuations, and the wonderful values to be had in “off” vintages. 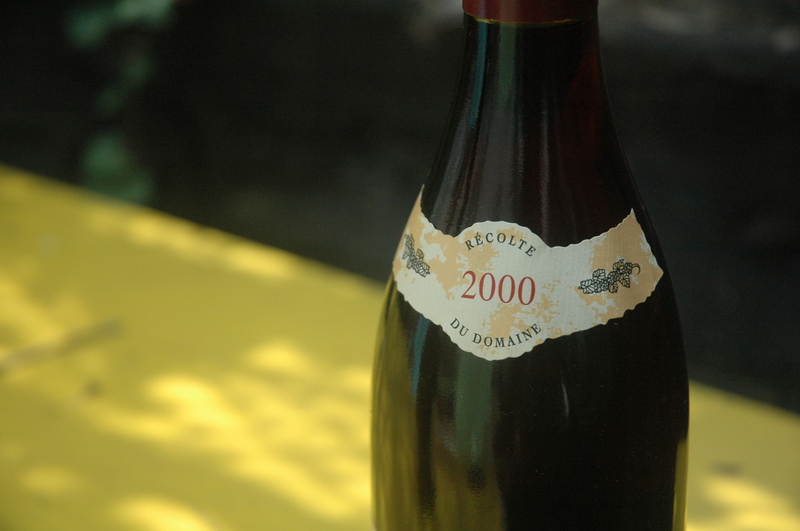 Recently I was drinking a Jayer Gilles Echezeaux du Dessus 2004, which cost me less than half of what any other vintage of that same wine is available for anywhere. While it was an exceedingly good deal, and I bought everything that was available, it’s indicative of what happens in world wine markets, particularly when a great region of great winemakers is labeled “off” for a given vintage, by the prevailing wisdom. Great growers and great winemakers will find ways to make palatable wine in all but the most horrific of growing seasons. The three major factors that dictate a wine’s release price are 1) Supply and Demand (+ hype), 2) Relative quality of the product, 3) World currency rates at the time of release. However these factors line up, all future prices on the vintage in question, are largely determined by their price on their way into the market. 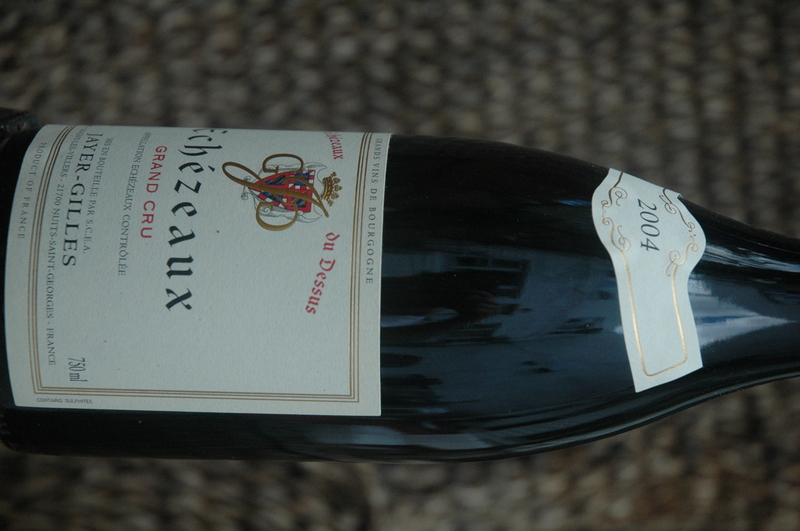 The 2004 vintage in Cote de Nuits (northern Burgundy) was considered an off vintage compared with ’02, ’03, ’05, but the best of them are still damn good and tend to drink well on the younger side, such that bigger ones, like the Echezeaux pictured here, are drinking quite well, while many of the surrounding “better” vintages yielded wine that is still years before its peak. Another example of this is the difference between the 1999 and 2000 vintages of the same region. 1999 was universally better rated than 2000, but many of the ’99s I’ve tasted have had an unpleasant overripeness to them initially, and have not grown out of it. Conversely, the very best of the 2000 Cote de Nuits are better than their ’99 counterparts and can often be found for half the price. While there are certain axioms that hold true in accepted modern wine nomenclature, it’s always best to do as much tasting on your own as possible. Just like with a record review, it all just comes down to one person’s opinion, on someone else’s creation, in a random moment. One of the most trusted palates in my personal pantheon likes to say that regardless of everything else, it comes down to the ‘yum or yuck’ test: Something hits your palate and it either pleases your senses or it doesn’t. The rest really are just details, pomp, and circumstance.